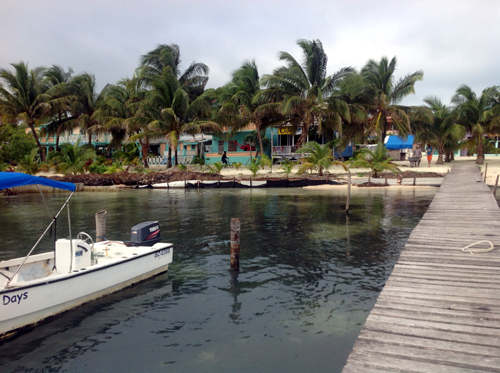 Caye Caulker has long been one of the premier destinations for travelers to Belize. 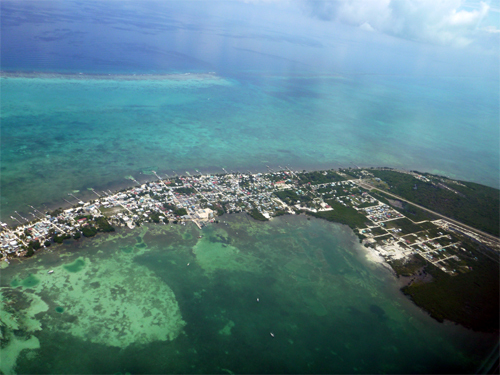 This small island town is located about 15 miles north of Belize City and is close to the barrier reef. It is easily accessible by water taxi or with frequent domestic air service. 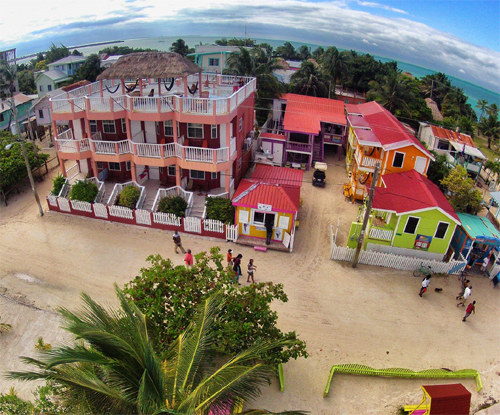 Caye Caulker has retained much of the laid back, funky Caribbean flavor of days gone by, and the huge boom of tourism and development have largely passed it by. The streets are still unpaved, and Caye Caulker culture attracts the backpacker crowd and those wishing a more casual island experience. Lots of tours are available, including a local rasta style tour operation which offers 3 day party trips aboard a sailboat, camping on various islands and snorkeling from the boat as they travel around down the barrier reef. Accommodations vary from very cheap, hostel type guesthouses to some newer, slightly fancier hotels along the waterfront. Everything is still much less expensive than the big resorts on Ambergris Caye and Placencia, and one can get by on fairly little if that is what your budget dictates. 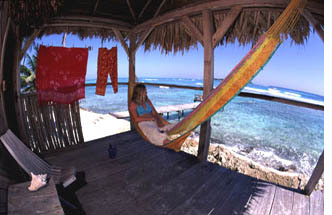 I was just there and the best place to stay on Caye Caulker (IMHO) is the Caye Caulker Condos. It is reasonably priced at $85/night US, and is modern, with a/c, full kitchen, balcony, pool, and located on the sea. Plus it is one of the last places on the north end of the main street so it is much more quiet than other choices. 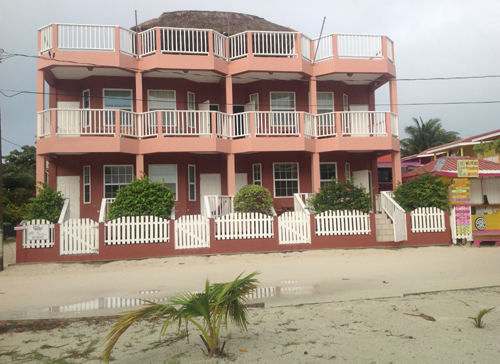 The Caye Caulker Condos are the 3 story building on the left, below. Another view of the recommended condos. The best part is the sign on the bar next door, it says “No Working During Drinking Hours”. 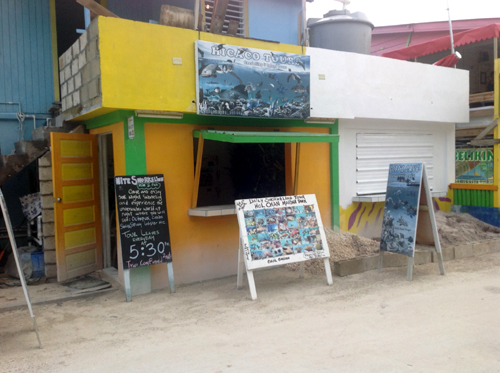 This is what you see upon your arrival at Caye Caulker. Looking down the island at other docks. Another good place to stay. 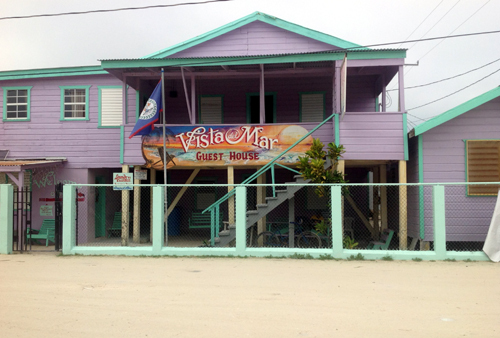 Many people inquire about combining our all-inclusive island package with a short stay at Caye Caulker on their own. This is easy, but you wouldn’t go from one directly to the other. 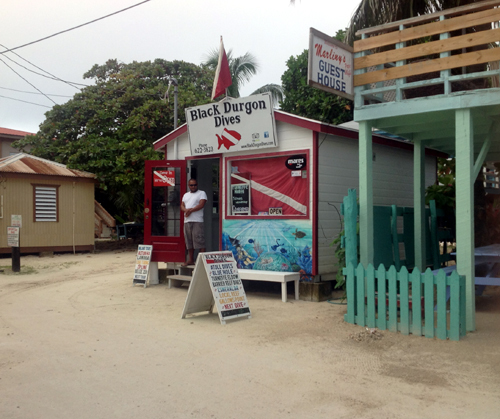 In a nutshell, all roads in Belize lead to Belize City. No one would travel from Glovers Reef to Caye Caulker, or visa versa unless you chartered a boat, and that would be expensive (my best guess: about $1200-1500 US). 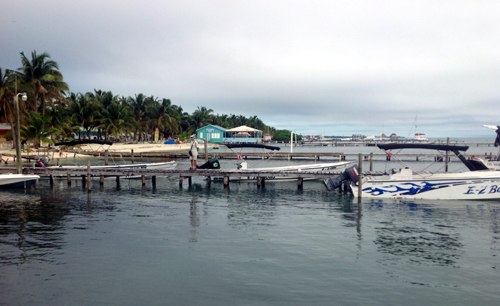 You would return to Belize City from one to catch transport to the other. We have a private boat that goes between Belize City and our island 2x a week, and the price for this transfer is included in all of our island packages. 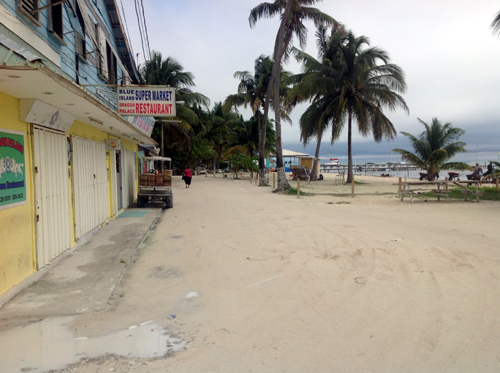 Caye Caulker is well out of the way, and we would run out of gas if we wanted to ‘swing by’ Caye Caulker on the way. (Not to mention that all of the other guests not going to Caye Caulker would not appreciate the extra hour in the boat). Because Caye Caulker is a big island with lots of hotels and other rental properties, they have regularly scheduled flights (http://www.tropicair.com/ or http://www.mayaregional.com/) and water taxis (http://www.gocayecaulker.com/members/ccwta.html) that are affordable (flight: $40 one way, water taxi: $10 one way). Fri: fly into Belize City, take a taxi to the Biltmore and check in. Your guide will then meet you at the Biltmore at 5:30 pm. Dinner and overnight included in package. Sat: After (included) breakfast, walk to our dock 1 block from hotel (luggage is driven). Get on boat no later than 8:30 am, probably more like 8 am. Out to island by about 11-11:30 am. Tour of island, lunch. After lunch sport activities start. Sun: Island activities all day. Mon: Island activities all day. Tue: Island activities all day. Wed: Island activities all morning. Lunch on island. Boat leaves after lunch and gets back to Belize City by about 3 pm. 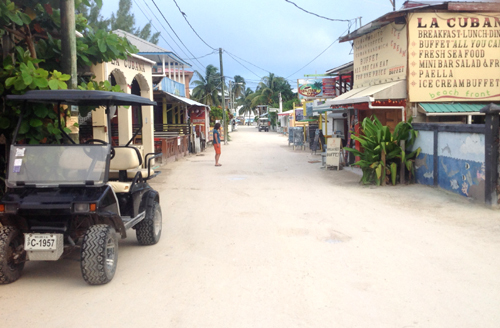 Take a cab to either the municipal airport or the water taxi terminal to catch next transport to Caye Caulker. It’s a 20 minute flight and 45 minute boat ride. (Last water taxi AND last flight from Belize City leaves at 5:30 pm.) 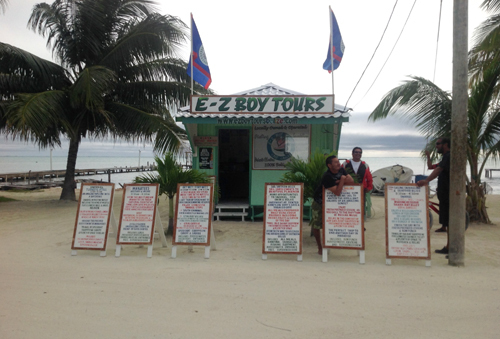 Dinner and overnight at Caye Caulker. (One note: after the long boat ride from the island, you would probably rather fly.) Or you can overnight at the Biltmore again (not included in half week package) and take the water taxi or flight first thing in the morning. One final thing, you might be thinking of Ambergris Caye instead of Caye Caulker. These two islands are near each other and both have flights and water taxis, so everything here pertains to Ambergris Caye as well.